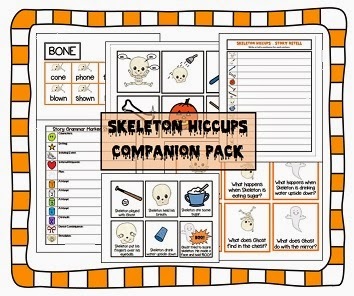 One of the books I bought in celebration of Halloween this year is Skeleton Hiccups by Margery Cuyler. The story is about Skeleton and his various attempts to cure himself of the hiccups. What is nice about this story that each page only has one sentence (or rather, phrase) on it, which is great for young children or those with highly impaired attention spans. 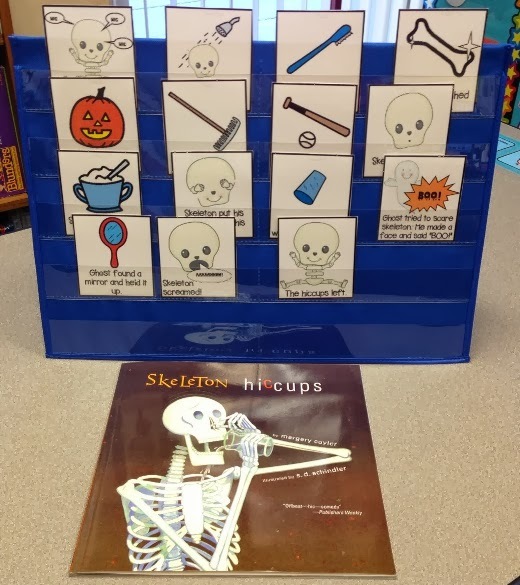 The book is also highly useful for working on /k, g/, as there are tons of words that contain the target sound -- skeleton, woke, took, carve, pumpkin, rake, etc. I created a companion pack for this book that I published in my TpT store. 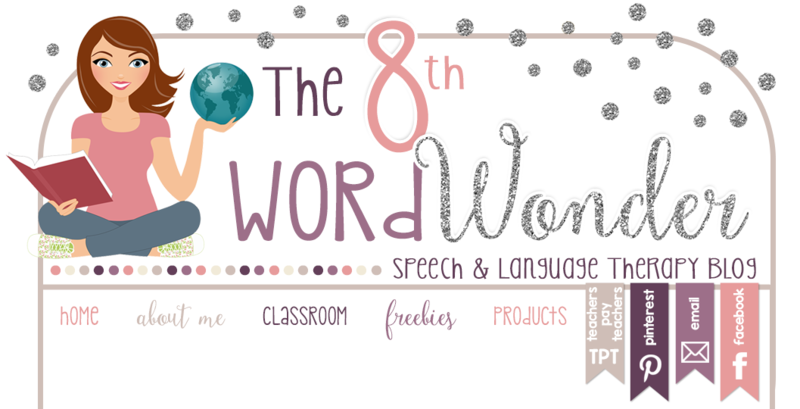 The packet contains everything from sequencing cards (with and without text), rhyming cards, story retell graphic organizers, and comprehension questions. For my purposes, I used the story mainly to work on comprehension, sequencing, and story retell. I used the sequencing cards along with a table-sized pocket chart and had students narrate the story after we had already read it. My students had a lot of fun following Skeleton and learning how he finally got cured. I will definitely use the story again next year!